This week 148 people ran, jogged and walked the course, of whom 15 were first timers and 14 recorded new Personal Bests. Representatives of 8 different clubs took part. Today's full results and a complete event history can be found on the Armidale parkrun Results Page. The male record is held by Scott WESTCOTT who recorded a time of 15:29 on 2nd August 2014 (event number 3). The female record is held by Steph AUSTON who recorded a time of 18:17 on 16th August 2014 (event number 5). The Age Grade course record is held by Scott WESTCOTT who recorded 86.87% (15:29) on 2nd August 2014 (event number 3). Armidale parkrun started on 19th July 2014. Since then 3,494 participants have completed 33,937 parkruns covering a total distance of 169,685 km, including 6,045 new Personal Bests. A total of 642 individuals have volunteered 3,749 times. All Armidale parkrun event statistics can be viewed at the bottom of all pages on the Armidale parkrun website. These statistics are updated after each week's event. For the latest statistics, click here. 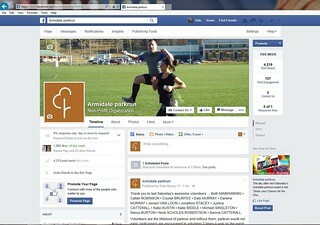 For the latest news and up-to-date information for Armidale parkrun, 'like' the Armidale parkrun Facebook page and/or go to www.parkrun.com.au/armidale and select 'news' from the menu bar. Previous news items and information are also available on the website. To locate, use the menu bars (search / categories / archives / recent posts) located on the right side of the screen. For all inquiries about Armidale parkrun, please send an email to armidaleoffice@parkrun.com Everyone is welcome at Armidale parkrun. We look forward to seeing you. 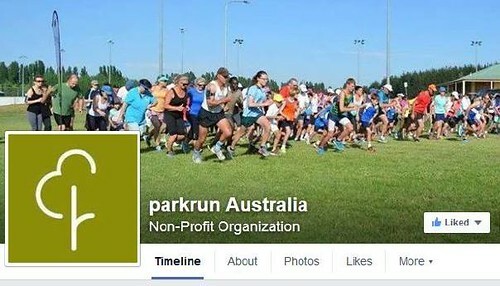 For all the latest parkrun news, weekly statistics and up-to-date information from all 150+ events in Australia, 'like' the "parkrun Australia" Facebook page by clicking on the image. If your life is all about parkrun and you love parkrun adventure, you are are "parkrun adventurer" and you will love Australia’s new weekly podcast "parkrun adventurers." Each week, the podcast features parkrun news, information and adventurers from events across Australia. 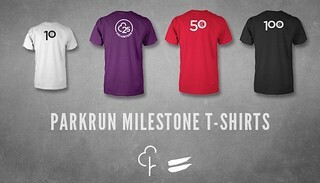 parkrunners are encourage to 'like' the “parkrun adventurers” Facebook by clicking on the image. 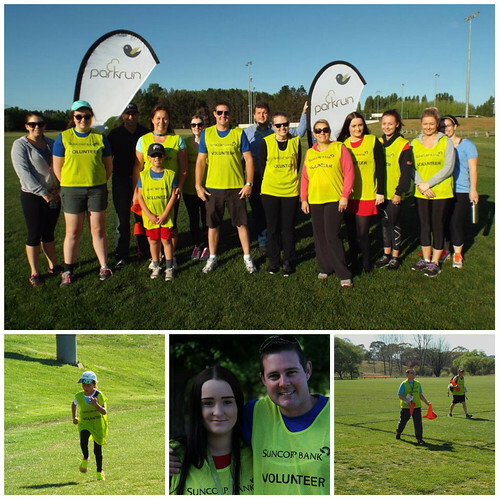 Armidale parkrun is a free, weekly timed 5km run or walk, open to everyone in the community of all ages and abilities. 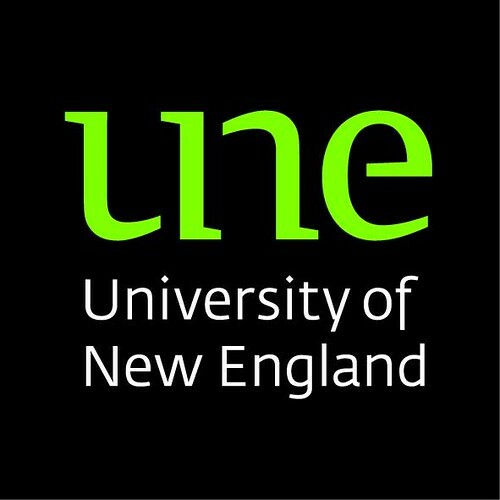 It is run entirely by volunteers and is held every Saturday within the grounds of the University of New England at SportUNE, SportUNE Drive, Armidale. 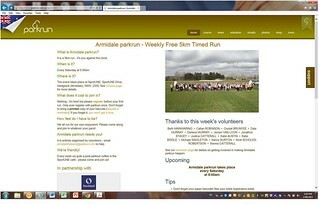 To have a look at the Armidale parkrun course, click on the "course" tab on the top of this page. Following a briefing for 'First Timers' at 7:45am and one for all participants at 7:55am, the run commences at 8:00am. parkrun has a strict "no barcode = no results = no exceptions" policy. To register and print-out your barcode for free, go to www.parkrun.com.au/register For all inquiries about Armidale parkrun, please send an email to armidaleoffice@parkrun.com Everyone is welcome at Armidale parkrun. We look forward to seeing you. Come Visit Armidale - you won't be disappointed! The Armidale region boasts spectacular waterfalls, gorges, world-heritage national parks, cool-climate vineyards and a fascinating and diverse cultural heritage. Canyoning, mountain biking, birdwatching, trout fishing and other outdoor adventures take on an exciting new dimension up high. And you’ll be delighted all over again when you come inside to discover our galleries, museums, fine food and wine. Come and see us soon! 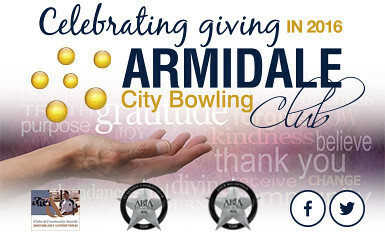 For more information about Armidale and region, go to www.armidaletourism.com.au or simply click here. 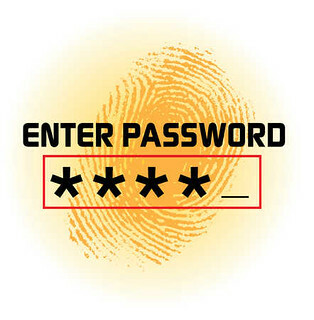 Click on supporter's logo to access their website. This is policy is non-negotiable designed to ensure the safety and protection of all children under 11 years of age at parkrun events. 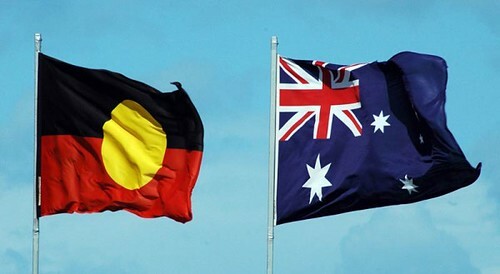 Armidale parkrun acknowledges the traditional owners of country throughout Australia and recognises their continuing connection to land, waters and community. We pay our respect to them and their cultures, and to elders both past and present. This week 206 people ran, jogged and walked the course, of whom 24 were first timers and 46 recorded new Personal Bests. Representatives of 10 different clubs took part. Armidale parkrun started on 19th July 2014. Since then 3,479 participants have completed 33,789 parkruns covering a total distance of 168,945 km, including 6,031 new Personal Bests. A total of 640 individuals have volunteered 3,736 times. This week 220 people ran, jogged and walked the course, of whom 28 were first timers and 40 recorded new Personal Bests. Representatives of 10 different clubs took part. Armidale parkrun started on 19th July 2014. Since then 3,455 participants have completed 33,583 parkruns covering a total distance of 167,915 km, including 5,985 new Personal Bests. A total of 638 individuals have volunteered 3,723 times. This week 149 people ran, jogged and walked the course, of whom 8 were first timers and 12 recorded new Personal Bests. Representatives of 12 different clubs took part. Armidale parkrun started on 19th July 2014. Since then 3,427 participants have completed 33,363 parkruns covering a total distance of 166,815 km, including 5,945 new Personal Bests. A total of 638 individuals have volunteered 3,708 times. This week 162 people ran, jogged and walked the course, of whom 9 were first timers and 22 recorded new Personal Bests. Representatives of 15 different clubs took part. Armidale parkrun started on 19th July 2014. Since then 3,419 participants have completed 33,214 parkruns covering a total distance of 166,070 km, including 5,933 new Personal Bests. A total of 635 individuals have volunteered 3,694 times.